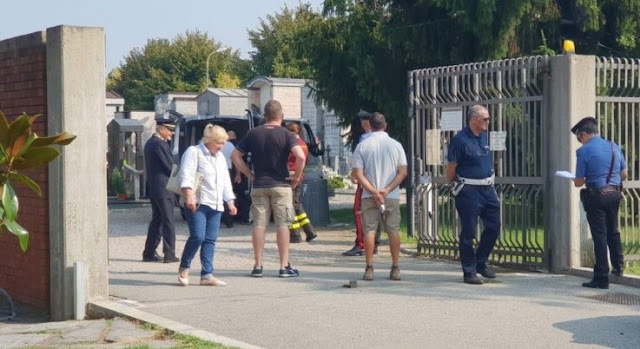 An Albanian has been found dead in still unclear circumstances in Italy. The Albanian, 59, was a Cuggionos cemetery worker in Milan. Shortly before 10 o'clock in the morning, the cemetery worker was found dead by some locals who were in the country for their rites. Police and emergency were immediately notified. But even though their arrival was fast, nothing could be done for the Albanians except the ascertainment of the death. The 59-year-old was known in the area and for many years worked in the cemetery. The Albanian was resident in Magenta and worked in the cemetery as a clerk of Bernate firm, who had entrusted to him the maintenance works of the Cuggiono Graveyard. Who Knew Albanians describes him as a good man, a regular family devoted to family and children. Some witnesses have shown that the man was seen working normally at around 08:00 o'clock but afterwards it is unknown what happened to him. Instead, the carabinieri are rebuilding the dynamics of the event.